For those of you who follow me on twitter, you’ll have seen that very recently we had to evacuate our home due to a forest fire that was pretty close to our house. Luckily, when the evacuation order came through from the Sheriff’s department, I happened to be looking at my phone and I see the call come through. However, usually, I have my phone on Silent when I am asleep and would have missed it. Many of our neighbors missed the call to evacuate, as like me, they have their phones on silent when they are asleep. Luckily the Sherri’s department sent officers to our community to knock on door to make sure everyone was evacuated safely. So I decided to try and figure out if it was possible to have my phone on silent, but still have Emergency calls ring the phone so I don’t miss them. It turns out, it is possible and it’s pretty straight forward. I’ve documented the steps for both Android (Oreo, v8) and Apple iOS (v11) below. (This post assumes you know your way around your phone. If you are not confident with your phones settings, please ask someone to help you). The first thing you’ll need to do is add the emergency numbers into your phone’s contacts. I also added in my close family, so if they are calling me, I’ll hear their calls even if my phone is on silent. Once you have your contacts added, you need to ‘Star’ those contacts. Select the contact(s) that you want to allow to ring even when your phone is on silent. 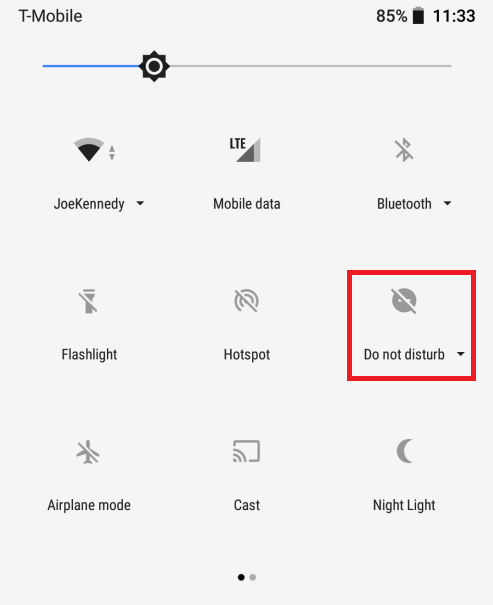 Now when you go to bed at night, you need to make sure you enable ‘Do not disturb – Priority Mode’. Now run some tests to make sure everything is working as expected. Get someone to call you who isn’t a ‘starred contact’ to make sure the phone stays silent. Then get one of your ‘starred contacts’ to call you to make sure the phone rings as expected. Now when you go to bed at night, you need to make sure you enable ‘Do not disturb’. I hope that all makes sense. Please let me know if something isn’t clear and I’ll try and add in some additional details.